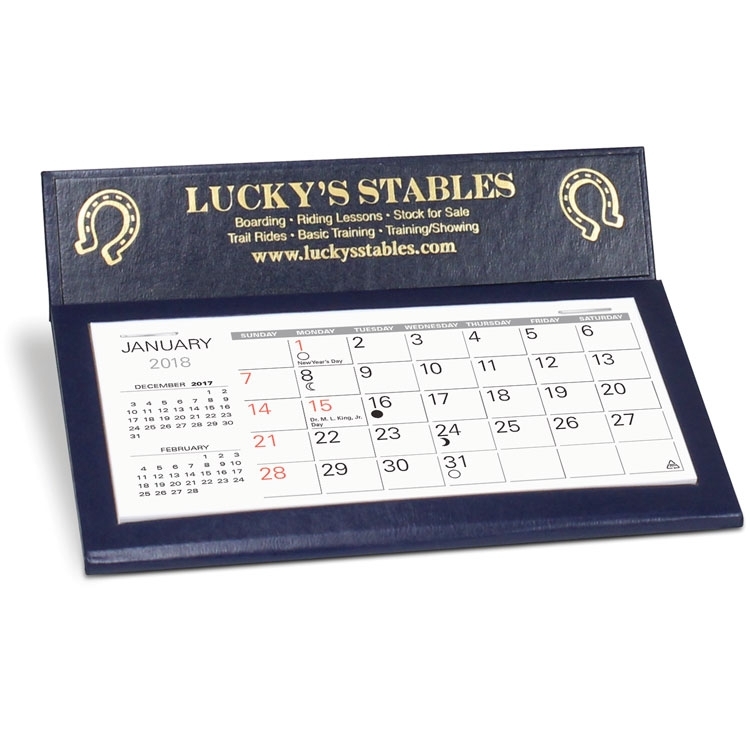 The Medalist Desk Calendar is foil-stamped with a flip out phone/address directory and 5 3/8" x 2 5/8" Memo style 13 month date pad. See “Options” for available calendar colors and imprinting the envelopes. Free mailing envelopes are included, calendars not inserted. 6 1/16" x 4 7/8"
IMPRINT AREA: Price includes a one color imprint in a 5 1/2”w x 1”h area.